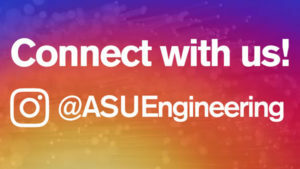 Home » Events » Have dinner with the dean, February 21 — register by February 15! 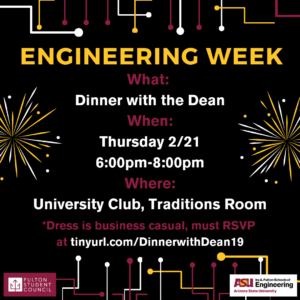 Have dinner with the dean, February 21 — register by February 15! This is one of Fulton Student Council’s signature events where students get a chance to network with faculty and administration, including Dean Squires and Vice Dean Collofello!